From recipes to bars to trends in drinking, if it’s interesting, entertaining or too weird to ignore, you’ll find our 2 cents about it. This Whiskey Is Tougher Than You Think 1 Vote Up! Meet the Bartender of the Future: The Bot-Tender 1 Vote Up! We Found The Trendiest Whiskey You’ll Ever Drink 4 Votes Up! We Found The Black Sheep Of Chicago 2 Votes Up! 4 Cocktails You Can Totally Crush This Weekend 2 Votes Up! Where to Drink: The Movie Theater 0 Votes Up! 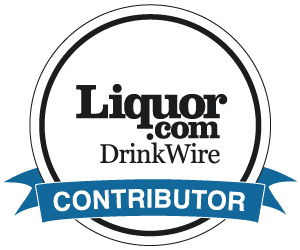 Where to Drink: Dow Jones Bar 1 Vote Up! Summer Tiki Party Cocktails 0 Votes Up! All Aboard the Booze Train 35 Votes Up! Up Your Game of Thrones Cocktail Game 3 Votes Up! DIY: Backyard Drinking Games 2 Votes Up! Bootblack Brand: Never Accept a Boring Cocktail Ag... 0 Votes Up! Drink Like a Celeb With These Celebrity Liquor Bra... 1 Vote Up! Your Cocktail According to Your Spirit Animal 1 Vote Up! 5 Camping Cocktail Essentials 0 Votes Up! The Most Instagram-able Bars in America 0 Votes Up! Three Words: Boozy Ice Cream 0 Votes Up! 2 Bourbon Cocktails You Need to Make This Kentucky... 3 Votes Up! This Is The Margarita of The Year 0 Votes Up! Bagel Whiskey Is Here 0 Votes Up! The Boozy Loco Unicorn Is The Drink You Need Right... 16 Votes Up! Top 10 Cocktail Garnishes, Ranked 2 Votes Up! The Ultimate Guide to Drinking Your Way Through Di... 2 Votes Up! Seersucker Southern Style Gin 1 Vote Up! 5 Celebrities You Didn't Know Have Their Own Tequi... 4 Votes Up! Drink Weed Every Day 1 Vote Up! More Like Easter Sunday Funday 44 Votes Up! Tequila vs. Mezcal: What The Hell Is the Differenc... 4 Votes Up! Cereal Beer Is The Bizarre Trend You've Been Waiti... 2 Votes Up! Boilermakers for National Beer Day 0 Votes Up!